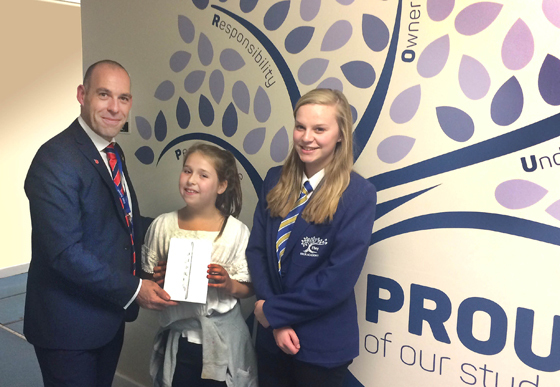 Macey Lott, a Year 6 pupil at Filey Junior School, was the lucky winner of an iPad Mini at the Ebor Academy Filey open evening prize draw. Macey is pictured receiving her prize from Headteacher Andrew Galbraith and Head Girl, Hannah Botterill. 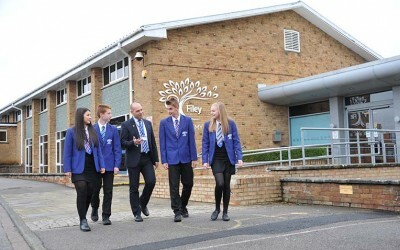 Over 300 parents and children took up the chance to look around and get to know more about how the school has changed since joining the Ebor Academy Trust last month – it is being described as a ‘new school for a new generation’. In his presentations to visitors, Headteacher Andrew Galbraith invited parents to come back and visit the school in action during the day.